Past Life Regression Stories: As Interesting As It Can Get! Past Life . . .
Do you believe in past life? The belief in reincarnation and evolution of souls forms the basis of past life regression, which is now a well-known therapeutic and healing technique. The therapy helps us understand the connection between mind, body, and soul. It helps clear deep-rooted issues and problems in current life by connecting to their causes in past lives. Some past life regression stories reveal this deep connection in a simple, clear, and profound way. 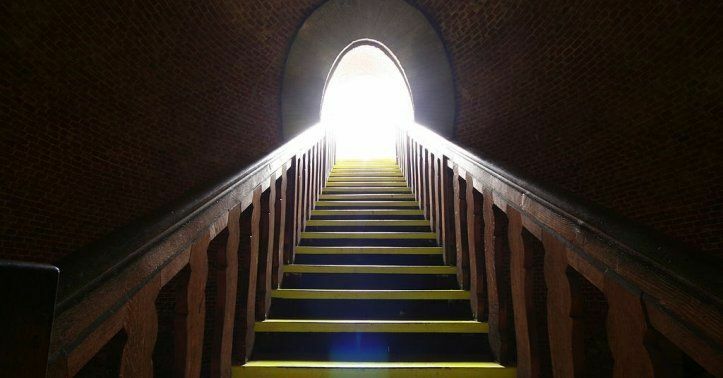 Do you know what exactly is past life regression? In simple terms, past life regression is recalling events from past life or lives. This happens in a state of deep relaxation and hypnosis. The belief that the soul is eternal while the body dies forms the basis of the concept. For those who do not believe in reincarnation, past life regression is unfathomable. However, believers in souls, reincarnation and things like karma and cause and effect are more open to this concept. They, in fact, believe in it to be the basis of their current life. Various cultures and individuals have their own beliefs about the concept of past lives and, therefore, they are open to undergoing past life expeditions. Past life regression stories are interesting and thrilling. They might be difficult to understand and believe in by a layman. However, a person with a broad and open mind and consciousness would understand them. A spiritually evolved person would, in fact, benefit from it while it would help one become more evolved spiritually. Various past life regression stories of people who have undergone the therapy session are doing the rounds. People, who have taken this exciting therapy session, have shared and discussed endless numbers of stories. Let us take a look at some of the insights from these past life regression stories, explaining beautifully the connection between various lifetimes. Past life regression helps best to understand reasons for attitudes, tendencies, and behavior patterns of a person in their current lives. Repeated life patterns are, in fact, echoes of one’s past lives. These are believed to occur to help you learn a lesson. They continue to occur till you have not learned the lesson. In one of the past life regression stories, a person who kept getting into unfulfilling personal relationships discovered that it was happening to him so that he learns the lesson of developing self-esteem. Various past life regression stories explain the payment of a karmic debt. If the karma is imbalanced, i.e, there is more of negative energy in any lifetime that you may have created, it would need to be paid off – whether in the same lifetime or in next lifetimes. various cultures believe that souls reincarnate until they are completely evolved, means they have paid all their karmic debts. Past life regression works on the premise that we are all connected throughout our various lifetimes. The souls that were connected with us in previous lives are still connected in some form of relationship or other. Many of us get a feeling of déjà vu on meeting someone. Many times we feel a sense of familiarity with a person whom we meet for the first time. In the world of past life regression, it is highly likely that the person we encounter in this life was connected to us in our past lives. So, do you think it is time to have a past life regression story of your own? Past life regression session and therapy can be highly beneficial for one’s spiritual and personal growth. It can give you a better understanding of yourself as well as of your tendencies and behavior patterns in current life. Past life regression can help you find your life purpose!